Lisp doesn’t have the mindshare it deserves. At fifty, it is the second-oldest programming language in the world, after [Fortran]. 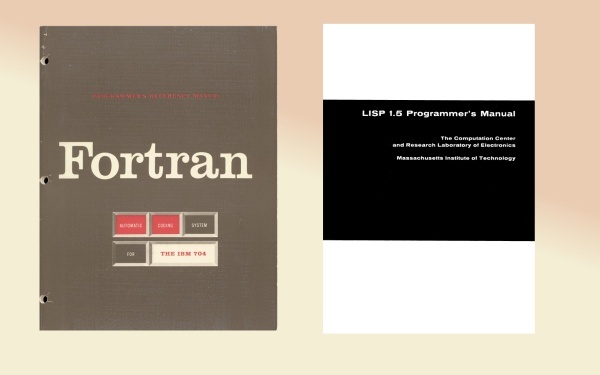 I’m starting to see the whole history of programming as a struggle between the elder brother, Fortran, and the younger sister, Lisp. There are two approaches; one is to find better ways to describe machine instructions, which is what FORTRAN does. The other is to find better ways to describe ideas, which is what Lisp does. These two languages established for us an axis; Almost every programming language thereafter fits somewhere in between these two giants. So far, my impression is that lisp is an excellent language, let down by it’s awful libraries and tools; compared to Ruby, Python, Java, or C#, it just doesn’t have the libraries, and getting extant libraries installed is a dog. Worse, there is no canonical implementation, which means that your code may or may not work on someone else’s lisp; even worse news for libraries. It’s a pity, because the language itself seems beautiful and powerful. Meh. If you want a lisp that has good libraries, take a look at Clojure: http://clojure.org/. It’s a lisp that runs on the JVM, and is interoperable with Java.